Verizon’s Samsung Galaxy S3 has already started to receive its first taste of Jelly Bean, in the form of an update to Android 4.1. 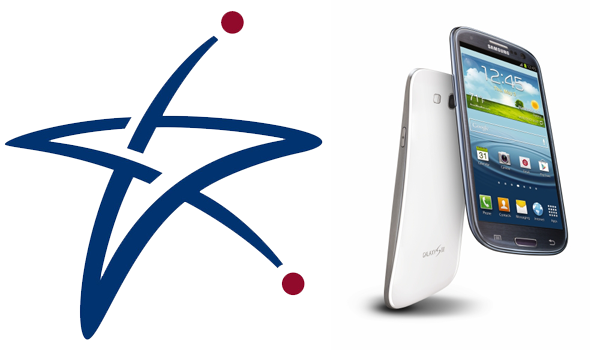 But if you have a Galaxy S3 bought from US Cellular, you’re pretty much left in the wind. For now. You’ll surely be happy to find out that your little carrier of choice is hard at work prepping the Jelly Bean update for its Galaxy S3 too. And it will be ready to roll out on December 21, which is this Friday. That’s when the rollout is slated to start. Of course, it may take a while for the over-the-air notification to reach your particular device. And you may be quite impatient. What to do, then? Galaxy S3 owners will receive the Jelly Bean update as well as a host of new and enhanced TouchWiz features, making it a faster, richer and more responsive device experience. Samsung’s best-selling flagship smartphone just got even better. New live camera and camcorder filters offer a range of new ways to spark your creativity.Warm vintage, cold vintage, black and white, sepia, color highlights(blue, green, red/yellow), and many more are selectable from the main camera screen. Pause and resume while recording videoallows users to string together multiple captured video clips from a party, birthday or sporting event into a single file with no post editing required. Low light photo modetakes advantage of Galaxy S3’s best-in-class High Dynamic Range (HDR) capabilities and offers an optimized mode for low light and indoor photos. Pop Up Play Update: Users can now easily resize or pausethe Pop Up Playpicture-in-picture videowindow, taking full advantage of the Galaxy S3’s powerful processor and large 4.8-inch screen. Blocking Mode: Galaxy S3 owners can disable incoming calls, notifications, alarms and LED indicators for a designated period of time. Google Now™: Google Now givesusers the right information at the right time, like how much traffic to expect before leaving work, when the next train is scheduled toarrive at the subway station or the score of a favorite team’s current game –conveniently delivered as notifications. Additionally, Google Now provides powerful voice assistant functionality across a range of domains, including weather, maps, navigation, search, image search, flight status and more. Google Now can conveniently be launched from the lock screen shortcut or by a long press on the menu button from any screen. Rich Notifications: Notifications can now expand and shrink with a pinch to showthe right amount of information a user needs. Notifications have been enhancedso action can be taken without having to launch the app first – like sharing a screenshot directly from the notification. Automatic Widget Adjustment: Customizing the home screen is easier than ever before. Users can simply place anew icon or widget on the screen, and existingicons will move out of the way to make space.When widgets are too big, they automatically resize to fit on the screen. In addition to the operating system update, Samsung and ESPN worked together to integrate AllShare® technology into ESPN’s popular ScoreCenter® application. This means Galaxy S3 owners will now be ableto wirelessly push on-demand ESPN global sports coverage and highlights from the ESPN ScoreCenter app to their Samsung SMART TV™. When on the same Wi-Fi network as a Samsung SMART TV, a sharing icon will appearwithin the ScoreCentervideo player which allows users to seamlessly push what they are watching to the TV.TheScoreCenter app with AllShare integration is available today for download through S Suggest™on all U.S. Galaxy S3 devices. With the Jelly Bean update, the Galaxy S3 willalso add support for some exciting new accessory experiences. AllShare® Cast Wireless Hub: The AllShare Cast Wireless Hub accessory allows users to wirelessly mirror their phone screen to any HDTV or HDMI® display. Whether it’s sharing pictures, browsing the Web,playing games, streaming music, watching videos or projecting business presentations,users can control the action on the big screen wirelessly from their smartphone. AllShare Cast Wireless Hub even supports licensed content playbackof premium TV and movies. NFC One Touch Pairing Support: Galaxy S3 can now pair with supporting NFC Bluetooth® accessories in a single touch. The Samsung Galaxy HM3300 Bluetooth headset will be the first Samsung portfolio accessory to support this functionality (available in the near future),allowing users to pair their headset by touching it to the back of their device.